A great power and a weaker, rival neighbor can eventually have normal relations. Prior to 1959, Cuba and the United States didn't have a mutually beneficial and respectful relationship, and amid the Cold War, Cuba's alliance with the Soviet Union made U.S.-Cuba normality even more elusive. 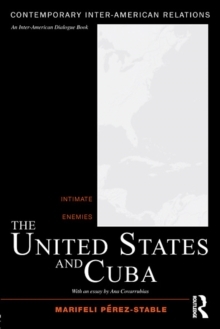 What the United States and Cuba now face is relating to each other as normally as possible, a task made all the more difficult by the shadow of the Cold War. After 1989, regime change returned to the heart of U.S.-Cuba policy, a major obstacle for Washington-Havana dialogue. 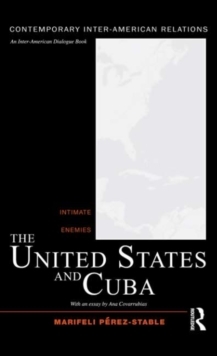 In turn, Cuban leaders have generally shirked their responsibility to do their part to ease the fifty-year enmity with the United States. This book systematically covers the background of U.S.-Cuban relations after the Cold War and explores tensions that extend into the twenty-first century. The author explores the future of this strained relationship under Obama's presidency and in a post-Castro Cuba.